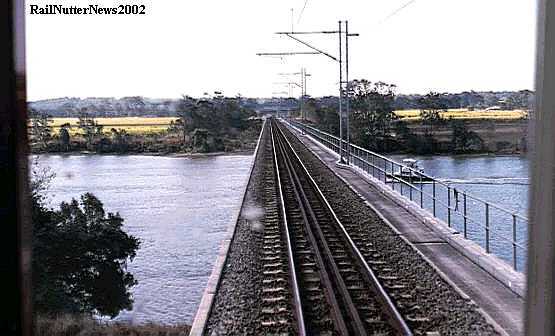 await final testing and delivery at Maryborough, 250km (150mi) north of Brisbane. 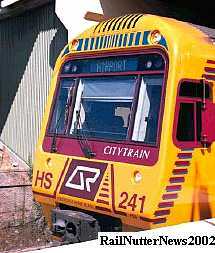 The extensive QR Citytrain system of Southeast Queensland, centered on Brisbane, utilizes four types of trains: EMUs (Electric Mutliple Units; introduced in 1979), IMUs (Interurban Multiple Units, cab controls shown below, introduced in 1996), SMUs (Suburban Multiple Units, introduced in 1994), and ICE (Inter City Express, introduced in 1988). 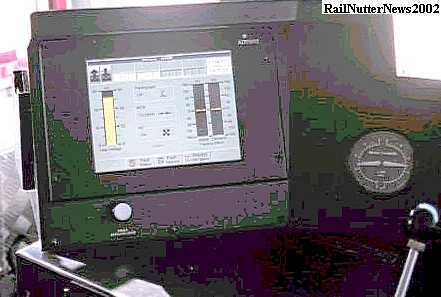 More than eight hundred trains per day traverse the vast system's lines. 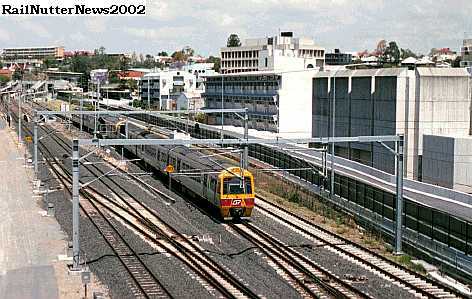 With Thanks to Matt Smith for Photo Captions. 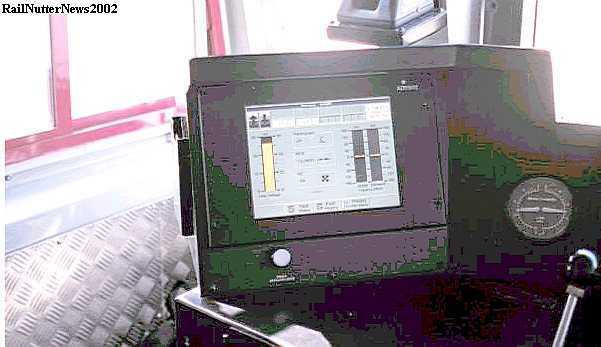 The Train Drivers fault and diagnostics computer with touch sensitive screen. 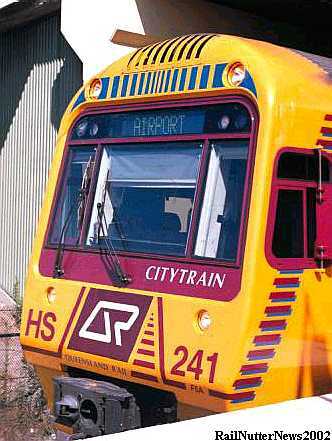 This is aboard a 220 class Suburban Multiple Unit (SMU). 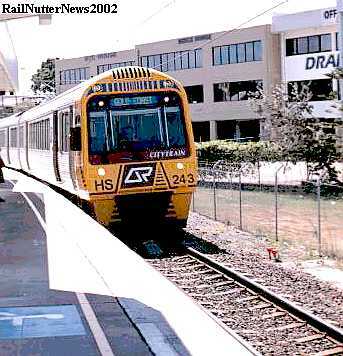 Robina on the famous Gold Coast. 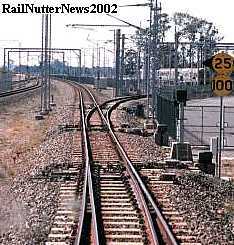 Another view of the new IMU's (see photo 1) at Maryborough. 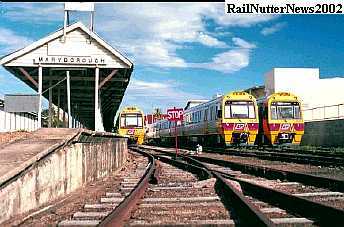 To the left, a 220 class SMU can be seen awaiting retrofitting of PWD (Passengers With Disabilities) equipment. 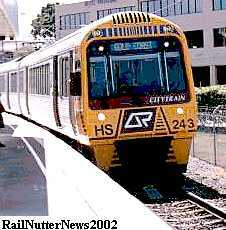 SMU243 arrives at Beenleigh on a Robina bound service. 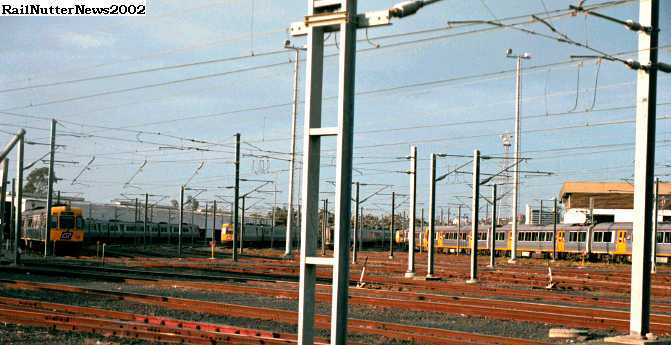 The 24 of the 220 class SMU's are designed to run at suburban speeds of 100km/h (62mph)whilst the remaining 6 have been regeared to run at 120km/h (75mph). 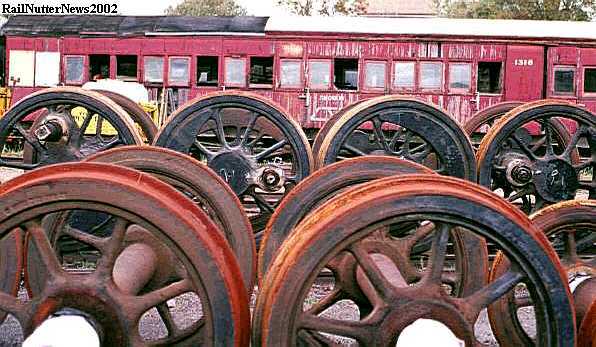 These 6 units bear the 'HS' markings as can be seen here. 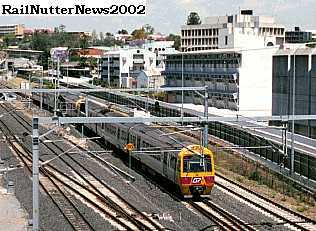 At a high vantage point at South Brisbane, a 100 class IMU can be seen arriving a South Brisbane station (under the photographer). 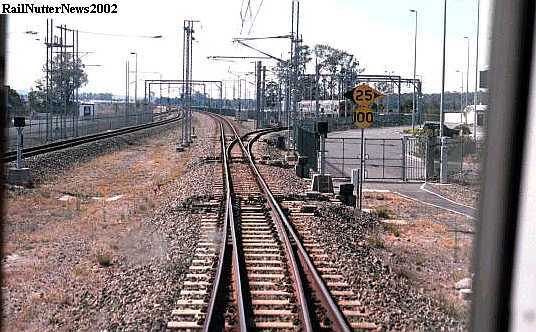 The far right hand track is Standard Gauge to cater for the daily Brisbane - SydneyCountrylink XPT service as well as the Great South Pacific Express trains when operating on StandardGauge. 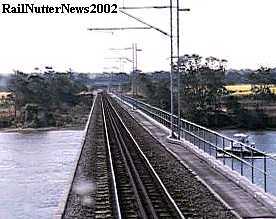 In the far left background, South Bank station can be seen. 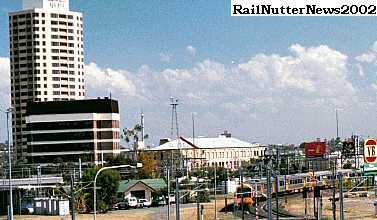 Formerly known as Vulture Street, this station was recently renamed to reflect it's proximity to Brisbane's South Bank Parklands, a redevelopment of the World Expo 88 site. 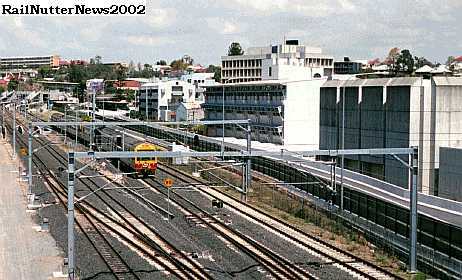 Beyond the fence to the right of the Standard Gauge line, the brand new Southeast Transit Busway can be seen with South Bank Busway station located to the right of South Bank railway station. 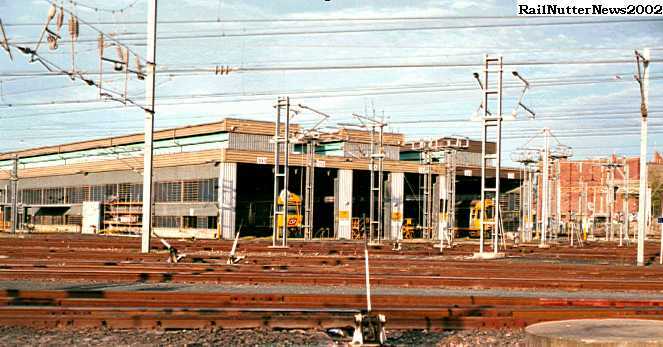 The Electric Train Depot at Mayne Complex, home of Brisbane's Citytrain fleet. 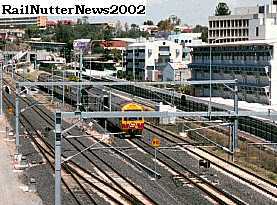 a westbound 220 class SMU climbs Mayne Flyover enroute to Ferny Grove. 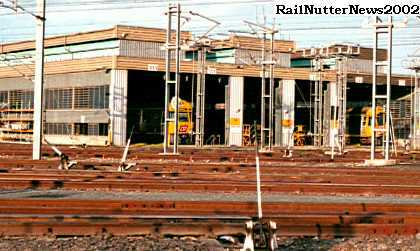 Back at Mayne Complex, two Intercity Express (ICE) units can be seen in the Servicing Shed. 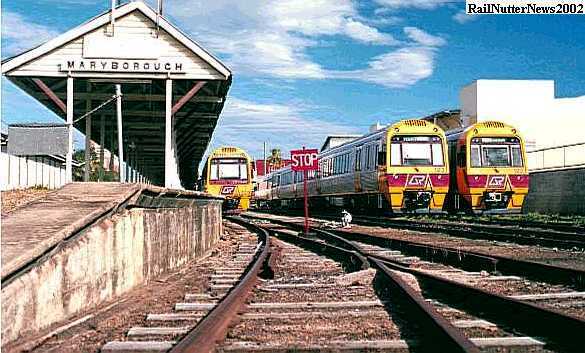 Brisbane's suburban fleet, these loco hauled coaches served Brisbane commuters well into the mid 1980's.